The Kitties at Kitty Code have created Cat Calls just for you! This über cute app gives you the sound of twelve different kitties ranging from cute and adorable kittens to angry cats ready to attack. Cats and dogs alike give the best reactions when presented with the sounds of kitties in Cat Calls. Loads of laughter from friends and family. 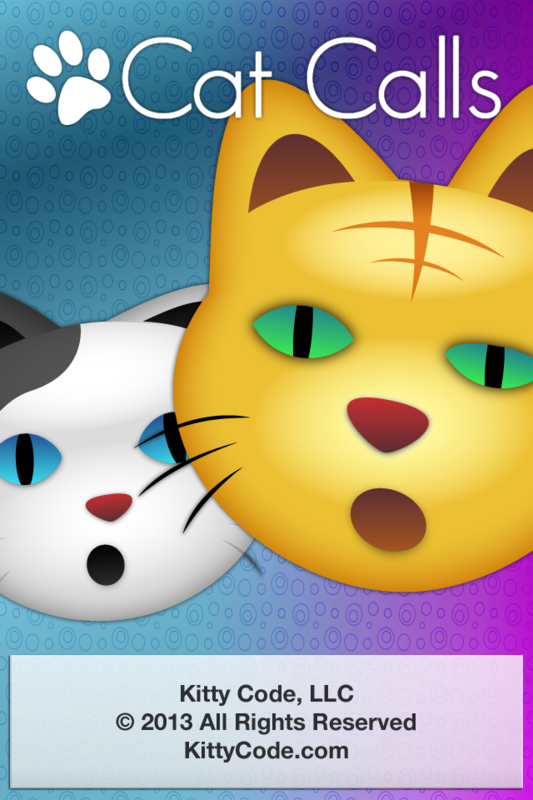 This app is very simply a collection of the cutest cat sounds available, which works flawlessly. If you would like to suggest features to be added to Cat Calls, please let us know! 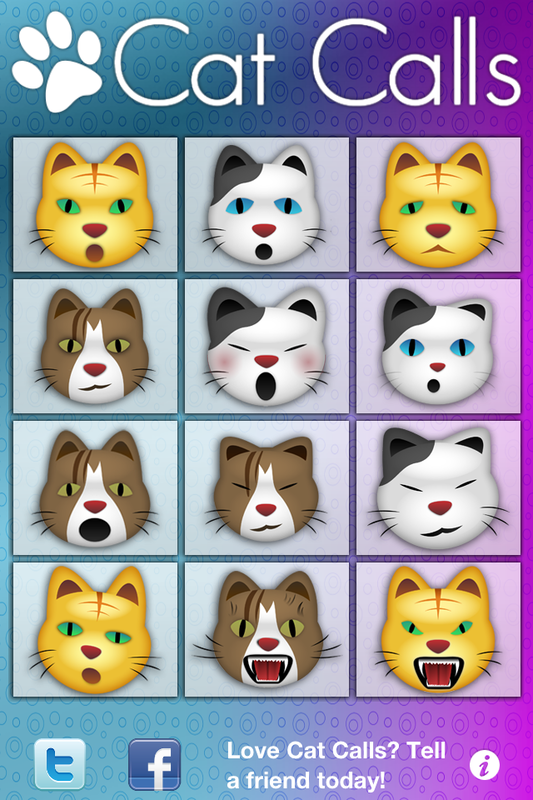 Kitties can now be heard when shaking the device giving you a random assortment of mewing fun. - Group stands in a circle, passes around iPhone with Cat Calls. - Each person shakes iPhone/iPod Touch to get a new random sound. - You are out if you get the "scary cat" sound! - Optional: Choose another sound to be the trigger! This game was played by FullSail students. Have a game? Post it to YouTube and send us a link! Thank you for entertaining yourself, friends, children and pets with Cat Calls for over 4 years! - Added Facebook and Twitter sharing - Telling your friends about Cat Calls is even easier to do now! - Previous update: Now natively supports Retina display on all devices, as well as native iPad support for clean beautiful kitties! Love Cat Calls? Don't forget to leave a review in the App Store! Have fun!